Our very good friends over in Mansfield Ohio, the wonderful children’s charity Friends Like Us, were hit back at the end of February with a devastating flood. Since we launched Layers of Love we have had a relationship with Friends Like Us. Mark and his wonderful children’s charity, were one of the first friends we communicated with through our social media efforts. Since our first tweets together over a year ago we have built a very strong friendship. What does Friends Like Us do? They are a nonprofit childhood cancer organization with a goal to help children who have been devastated by cancer through their treatments. With all the pain and heartache that can come with this disease, we want to leave a lasting impression of love and hope with them. As we announced earlier this year we are working this year collecting child sized fleece blankets for children who are going through chemotherapy treatment to add to their Chemo Bear Packages. They have given many children and their families a great deal of hope by providing them with these packages to help them ease the pain and uncertainty of going through chemotherapy treatment. 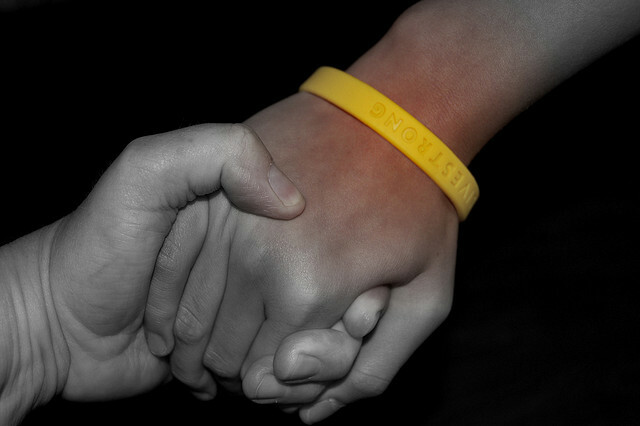 Friends Like Us, works tirelessly for children who have been diagnosed with cancer. As devastating as the flood was and all the damage it brought to Friends Like Us, the damage hasn’t stopped there, not only did they lose a great deal personally, their charity took a big hit as well, it has been almost complete loss for them. They have been trying to recoup some of the losses with local agencies but haven’t had any luck through that venue to date. So they are doing what they can on their own. As Friends Like Us states on their website, “We did everything we could to keep the water out and as fast is it came in, we couldn’t keep it out. It was like a small river flowing and all we could do is run around to get things put up as fast as we could, but it was too late for a lot of it. We lost so much due to the damages caused from the water. We are working hard on the recovery process, but need so much help with repairs and financially. We just can’t do it on our own!! !” Friends Like Us lost a lot of Chemo Bears, medical supplies, sibling toys, many coloring books, books and lots of supplies. You can view some photos from the flood on their website. We are asking today if you can help them in any way possible, no donation IS TOO SMALL, every bit counts, to get them back on their feet and running again so that their mission of providing children with their Chemo Bear Packages can go on, move forward and begin to continue again. 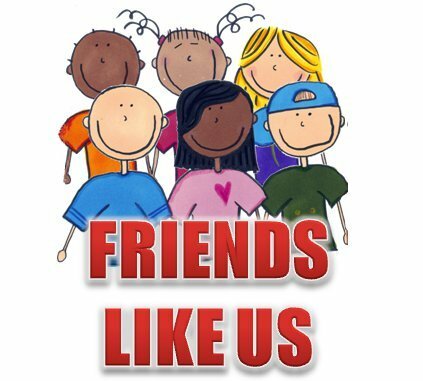 Friends Like Us has made it very easy to donate to their cause. Simply go to their website http://www.friendslikeus.org/ and click on the donations tab at the top of the page, you can also donate through your mobile device with their QR code by going here. Thank you for your help, it is appreciated more than you will ever know. Thank you to the wonderful charity of Friends Like Us for not only everything they have done for children and their families who have been devastated by cancer, but for everything they will continue to do well into the future. Layers of Love is grateful not only for the fantastic work they do, but for their friendship. This entry was posted in Donations and tagged Charity, chemo bear packages, Children, donation, Donations, Friends Like Us, giving, help, hope, wonderful. Bookmark the permalink. Hi! I was just wondering if Friends Like Us is still active? I blogged about them & you last year…and I can no longer contact them since they suffered the flood and the efforts to rebuild. I used to sew the small white medical bags for them also…but, I can’t seem to find them active online anymore. Are they doing ok? Going to be back up and running I hope. Continued blessing on you and the work that you do for those battling cancer! I am sorry but I too have wondered what has happened. I know that they were trying to rebuild after the devastating flood, and then he contacted me and said that they were going to change their website and mission a bit, to cover all childhood sicknesses. Since then I haven’t heard from him and when I tried to find out a while back, I saw they even deleted their twitter account. I think about them often and hope they are doing okay. They were very good friends of Layers of Love. If I hear anything I will let you know. Thank you for the kind words, we appreciate it!